Happy New Year Everyone! - Oddly Aroused! Happy New Year, Jim! Thanks for being here and giving us Sonya, and (once again) thanks for your great work over at Legend of Bill. My travel is winding down, and I think I’m (finally) shaking off an ugly flu bug for the second time in two weeks. Nothing like that spectacular feeling of all your skin hurting, including the soles of your feet and the roots of your teeth & hair. You’re very welcome 3X! Thanks for sticking with me for so long and into this shiny new year. This flu bug is doing it’s rounds in my area as well, so I’m crossing my fingers that it stays away from me. 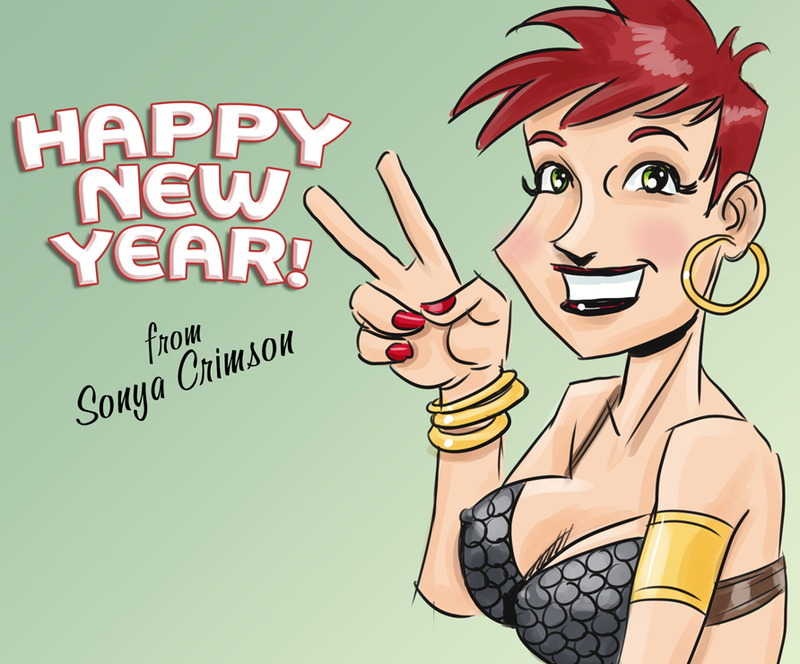 Take care of yourself and feel better and I’ll see you here for lots more fun and frivolity in 2015!